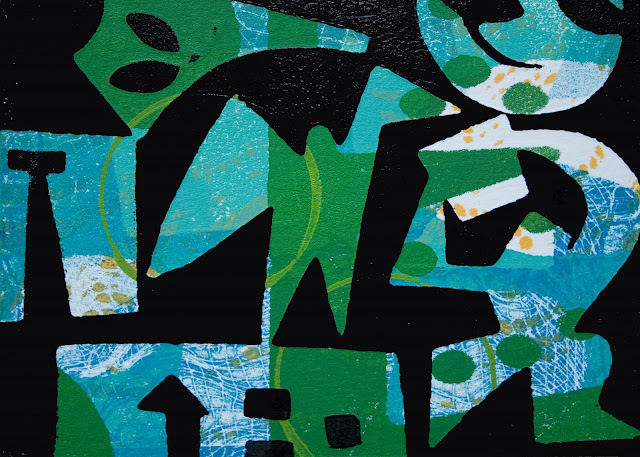 George Wright, sculpture and director of the Heron's Nest Gallery on Vashon, invited seven artists to create work for an August show in the gallery. 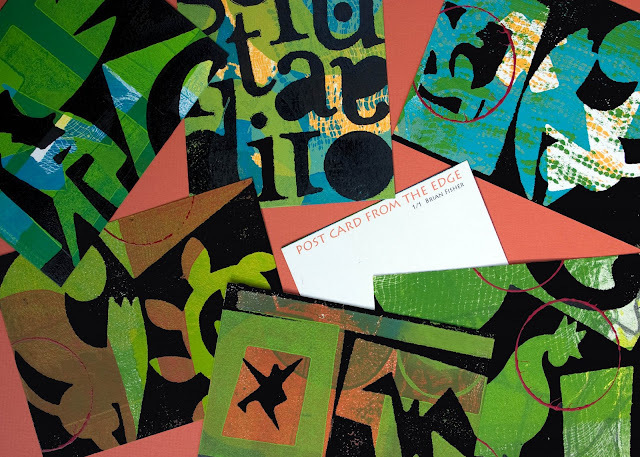 She chose Postcards from the Edge as theme and everyone has approached the subject quite differently. I frequently print at an almost postcard scale, particularly when I am searching for accidental compositions to develop as paintings or larger print imagery. The cards are 6 3/4 x 5 inches. Above are a few of the twenty Monotype and Collograph print images I made for the exhibit.